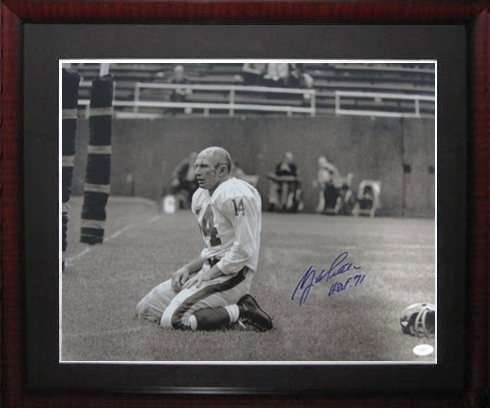 Description - This famous legendary sports 16x20 framed photograph depicts a bloodied Tittle following a loss in 1964, a year the Giants finished 2-10-2. It is signed by Y.A. Tittle, inscribed HOF 71. This comes with a JSA Certificate of Authenticity.